LAST Thursday, Zimbabwean social media woke up to another live broadcast on social media. This time on Instagram, Olinda was busy taking down her opponents in the way only she can. In front of hundreds of viewers, she was bragging about how she was blocking accounts that had been attacking her, claiming that they had more incriminating evidence on Tytan, the man she wedded only a few weeks ago. Not much time has passed since the two exchanged vows but their union is already reportedly on the rocks. The two's relationship is already haemorrhaging, wounded by sharp screenshots tossed Olinda's way with the intention of doing exactly that — hurt and wound. Olinda was now questioning how anyone in their wisdom had so much time to attack others on social media sites, going to the extent of creating ghost accounts to bring the "V11s" that proved that indeed her beau was a cheater. The wise would agree with her. What kind of person is so eager to see the downfall of another's relationship? The even wiser might perhaps have asked why one was spending so much time on the social network, blindly throwing punches at enemies that hid behind the anonymity of fake accounts. The news of Olinda's battle came just after news filtered through that another marriage that had seemed to be flourishing a couple of years ago on social media was also on its knees. Ghanaian fashion designer and former reality TV star Elikem Kumordzie had, the press announced, commenced divorce proceedings as he looked to break for good from Pokello, the woman who he paid $25 000 for in lobola only three years ago. The Ghanaian has gone to court to try and undo the bond that he solemnly swore he would keep intact whether in success or in health. "The plaintiff (Elikem) and defendant (Pokello) have not stayed together as husband and wife for the past one year since September 2017 and such is regarded by plaintiff to be incompatible with the continuation of a normal marriage relationship," Elikem said. "As a result of the above, the plaintiff has lost love and affection to the extent that there are no prospects for reconciliation due to the irretrievable differences between the parties." For many, the marriage has seemed doomed for the past few months. As early as last year, eagle-eyed social media followers had already seen that the two were no longer following each other. The affection that seemed to flow from their earlier social media exchanges had long dried up, with interactions between the two kept at a minimum. As Tytan and Olinda have illustrated, in this current age, a marriage becomes unstuck on social media before it is dissolved in the courts. The speed with which the marriages fall apart however, will have the sceptics wondering if the marriages are still motivated by love or the desire to look good on the social networks. Since time immemorial, there has always been pressure for one to marry. Many young women are reminded even in their early 20s that they are expected to bring a suitor home and mothers ask their sons when they can expect grandchildren. Spinsterhood is a fear of many and marriage is a badge that many feel they have to wear for social acceptance. However, one can argue that in the age of social media, the pressure to get married has become greater. Pictures of happy couples in their wedding clothes litter timelines. With every post the envy of those that are yet to get hitched increases. For some, not only getting married is enough, they have to look a perfect fit with their partner. Pokello and Elikem's marriage seemed to be the perfect union. The two had fallen in love in front of the whole continent, locking lips and entwining hearts during their stay in the Big Brother house. During and after their stay in that infamous house, many had made it known on social media that they felt they were a perfect match. She was the confessed shoe addict, a trailblazing fashion lover who had turned her passion into a money making business. He was the Nigerian fashion designer heartthrob, a man who had made his name as a tailor. Ghanaians encouraged him to sew their hearts together, while Zimbabweans told her to click her heels in the direction of a man who was clearly a catch. Marriage and a child soon followed and everyone was happy in this perfect world in which Pokello and Elikem would be the best dressed couple on social media, outshining other power couples during showbiz events. They looked perfect right until the moment they were not. Perhaps their followers should have been cautioned about the dangers of long distance love, seeing as Pokello and Elikem both resided in Ghana and Zimbabwe respectively. As yet, no one truly knows why their relationship started turning sour after what seemed like the blink of an eye. Perhaps the social rumours of her strange "brotherly" relationship with Tazvi Mhaka played a part. 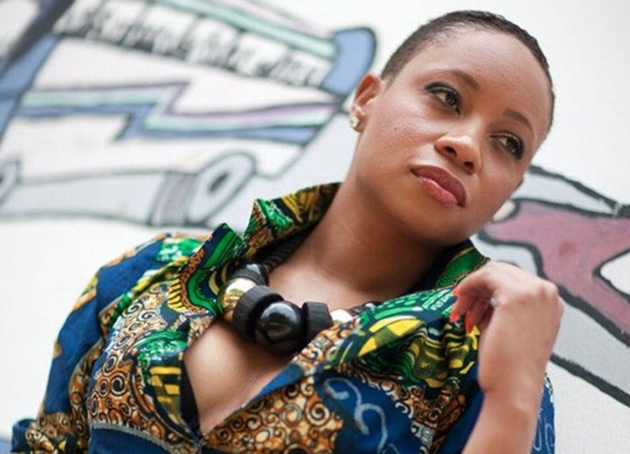 Perhaps the nasty social media fallout that followed images of Pokello at Mhaka's All White Boat Party created sufficient stink to convince the Ghanaian to walk away. Perhaps Elikem has his own skeletons in his country that Pokello unearthed with the help of a few screenshots. Nobody truly knows. What is certain now is that the romance is dead, the fairytale is truly over and social media now has to find another perfect couple to obsess over.